Where to do the Bedika-Must one check cleaned areas? In what areas is one obligated to perform the Bedika inspection at night? All areas that require cleaning for Chametz, likewise require a Bedika inspection to be performed with candle light [or flash light] at night to verify their cleanliness. In order to lessen the burden of requiring a rechecking of the entire home and its belongings on the night of the 14th, one can intend to check the room/item the same night that it was cleaned, even several days before the night of the 14th, and thus fulfill his Mitzvah of Bedika without needing to recheck it later on. Nonetheless, many are lenient to not recheck at night any area or furniture that was thoroughly scrubbed and cleaned from Chametz. Does one need to perform Bedikas Chametz towards Chametz vessels? Some Poskim rule that all Chametz vessels require a Bedika inspection. Practically, the custom is not to perform a Bedika on vessels and to suffice with washing the utensils. One is however to check with a candle the inside of an oven and microwave. 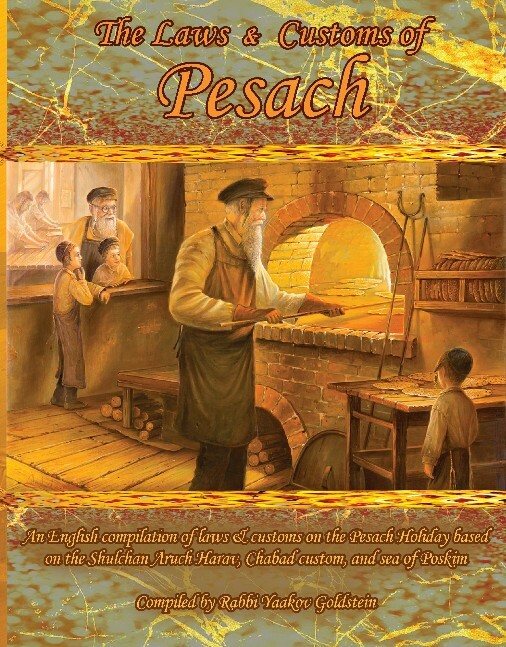 Does one have to do Bedikas Chametz to Chametz areas that will be sold to the gentile? Some Poskim rule one is required to perform a Bedika to all areas on the night of the 14th, even if one plans to sell that area to the gentile on the day of the 14th, prior to the 6th hour. Other Poskim rule it is not necessary to perform a Bedika to any area that one plans to sell to a gentile the next day. Practically, the custom is to be lenient in this matter and there is thus no obligation to check the rooms that one will sell/rent to the gentile. One is however to emphasize in the sale document to the gentile that the sale includes all the Chametz in the room/house, including Chametz found in the cracks and crevices. Some Poskim conclude that despite the custom, it is nevertheless proper to suspect for the stringent opinion and sell the Chametz on the 13th, as explained next. Selling the Chametz on the 13th: Those who desire to be stringent and suspect for the former opinion who requires a Bedika to even sold areas, are to sign on a Mechiras Chametz contract that sells the Chametz on the 13th of Nissan, hence exempting them from a Bedika on the night of the 14th according to all. Today, due to this, some Batei Dinim perform the sale on the 13th. Some Poskim however protest against this custom. Practically, the Chabad custom is to be lenient in this matter, following the ruling of the Tzemach Tzedek, and hence we do not perform a sale on the 13th. This is likewise the custom of many Gedolei Yisrael. Nonetheless, some conclude that it is best to at least sign on the Shtar Harsha on the 13th. The Alter Rebbe went to Mezritch for the first time in the year 1764 and remained there until a few days before Pesach of 1765. Upon returning home, on the 13th of Nissan, he did not eat due to his preoccupation with the preparations for Bedikas Chametz, assuring that all the Divine intents that he learned in Mezritch regarding the Bedika would be translated into action. The actual Bedika continued throughout the entire night despite the fact that he only had one room in his possession. See there that all areas which one remembers entering Chametz into, even once, or that it is common to enter while eating, require checking. Admur 431:5 that the Takana for Bedika is on the night of the 14th; 433:7 that one can check it any night without a blessing, even prior to the 14th; 433:5-6 that the Bedika is invalid during the day and is only valid at night; 433:38 that all areas that require Bedika are to be swept clean before the Bedika; Accordingly, after taking into account all the above rulings we conclude that all cleaned areas must be checked for Chametz at night with a candle. Rebbe Rashab ibid; Nitei Gavriel p. 135; 136; 161 writes that if possible one should search all areas at night with a candle, even those areas which already have been cleaned, and they thus are to be checked before they are covered with paper and the like. Thus, it seems that he learned that one should suspect for the view that the Takana to check at night applies to all items, even those previously cleaned. [However, earlier on page 78 he contradicts himself and rules that if one has already cleaned all areas before Bedika then he must from the letter of the law place out the ten pieces of bread. Vetzaruch Iyun] Piskeiy Teshuvos 433:8 records this opinion; Sefer Hakashrus ibid writes that when cleaning the kitchen closets, one must remember to check it with a candle, and that it is unfathomable that the area which most has Chametz will not be checked as is required; So I received from several Rabbanei Anash, that even cleaned areas must be checked. The correspondence of the Tzemach Tzedek with the Divrei Nechemiah: The Divrei Nechemiah addressed the above question to the Tzemach Tzedek. In his letter he brings the opinions of the Chayeh Adam and other Acharonim who rule that it has to be checked, and thus asks why Admur writes in the Siddur that the sale should be done on the 14th, as then one becomes obligated to check, and rather the sale should be done on the 13th. He states various reasons to explain why even if sold on 14th no checking is required the night before, as since he plans to sell the room on the 14th, it’s as if he will destroy all the Chametz on the 14th and thus no checking is required. There is no worry of him forgetting to do the sale, as he certainly will not come to forget to sell the known Chametz, and this will remind him to also sell the unknown Chametz that is in the room. However, he gives counterarguments, and ends indecisively, not wanting to be lenient against the great Acharonim. The Tzemach Tzedek in his response writes that he agrees with the logic of the Divrei Nechemiah, against the Chayeh Adam, as well he adds that the Torah only obligates one to destroy Chametz in his property and thus since he will not be owning the area after the 6th hour, why should there be an obligation to check it the night before, if even Biblically he is not obligated to destroy the Chametz from it. The Takana of checking for Chametz only applies to those areas that one may not own Chametz in when Pesach enters, and thus property that will be sold does not need to be checked. [To note that seemingly there is a clear proof for the ruling and reasoning of the Tzemach Tzedek from 436:21 where Admur rules that when selling one’s home to a gentile, if the gentile will acquire the Chametz before the 6th hour of Erev Pesach, then he does not need to check for it, even though that it will belong to him by the time of Bedika.] The Divrei Nechemiah responded to the Tzemach Tzedeks reply with a list of questions and rebuttals on the reasons the Tzemach Tzedek used to defend not needing to check these rooms on the night of the 13th. If one will be leaving his home before the night of the 14th: Nitei Gavriel 27:4 writes that if one will be leaving his house before the 14th, then according to all there is no need to check the house before leaving if he plans to sell it to a gentile. Vetzaruch Iyun why all agree in this case, as according to the Makor Chaim, there is still suspicion that one may not find a gentile to sell it to, and thus it makes no difference when the person leaves the house. M”B ibid; Kaf Hachaim ibid; This wording is included in the Shtar of the Alter Rebbe in his Shulchan Aruch “And included in all the above is the sale of the pieces of Chametz that are found in all these areas.” So was also included even more specifically in the Shtar Mechira of the Rebbe to the Rav. Must one check books/Sefarim for crumbs of Chametz?